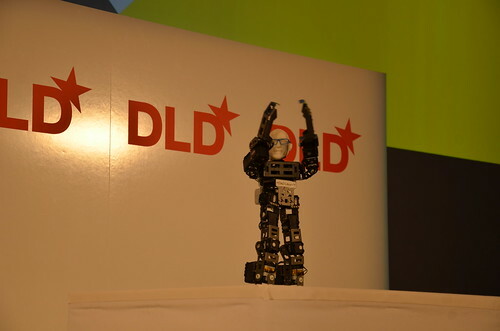 So… We just had a dancing robot at DLD13. Yes, that's right. A. Dancing. Robot. The short interlude was presented by Limor Schweitzer, the head of RoboSavvy. Robosavvy distributes and develops advanced mobile robots and parts and tools for making them. The company is also behind this wonderful humanoid robot, which gave a short presentation of its slick dancing skills, with the help of our very own DLD girls.